At most marketing communication firms, senior managers, the best talent at the firm, walk around new business. Natures perfect new business machine. Oh, they’ll go to meetings with prospects that others have set up. And they’ll freely give advice on how to win a particular account and what should be done in new business. They’ll even help present for the business after the opportunity to present has been won. But forget about getting them involved in reaching out to your best prospects on a regular basis. They’ll pass on calling to set up first meetings. And they’ll run from making new business phone calls on a regular basis. That’s unfortunate because your senior team represents not only your most expensive assets, but also the key people within your firm that prospects want to know. These senior managers are the ones with the most industry expertise, and are the best ones to convince prospects to hire your firm. But how to get this top talent involved in new business has been a challenge that our industry has bungled for decades. Until Sharking. Teach your senior team how to be a Shark! Your senior talent should help you take a big bite out of new business. And they will if you train and motivate them the right way. That’s why we invented the Sharking! program. After a number of years in field-testing, we have found a way to get your farmers hunting. This means we have uncovered how to get your top talent involved in the new business chase in a meaningful way that will grow your firm. With Sharking! your senior managers help you target your best prospects, those we call Whales. Then with Sharking!, your top managers will move forward to reach out to Whales to create important phone relationships. And then your top managers will be trained in how to stay in touch with those key accounts, the Whales, with gentle nudges to encourage those all-important first meetings. Most importantly, your senior team learns how to do these important new business activities without giving up their normal responsibilities or avoiding their important duties that keep the lights on. Sharking! is a senior level program made up of one part on-site training, one part senior level follow up and support, all mixed with motivation and sprinkled with incentives. With Sharking! your top talent will take an active part in growing the firm, making the calls, and reaching out to your best prospects. Growth is too important not to have the active participation of the most talented and most experienced personnel at the firm. But most firms haven’t taken steps to show their management team how to do new business at a senior level. Such firms seem content to let their senior managers drift around like new business guppies – at the firm but not in the game. In the current environment a firm that allows its senior staff to drift in this manner is giving up its best new business assets and a great source of immediate growth. It’s paying for these high-value assets but not using them. These firms delegate responsibility for growth to others within the firm with only an occasional call to their senior managers to present or participate in new business reviews. The senior team’s important role as new business experts, or Sharks, is ignored and forgotten. Showing senior managers how to do new business in the course of their normal business activities is one of the most important steps a firm can take. Sharking provides a pathway for senior managers to follow and gives them the skills and knowledge of how to do new business as part of their normal daily routine. Sharking! teaches senior personnel why it’s so important that everyone within the management team actively participates in the new business process. 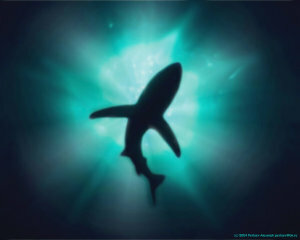 It turns senior managers into Sharks, always on the prowl for new growth opportunities, both organic and external. Specific skill sets are taught that show senior managers how they can move from new business Guppies to new business Goldfish to new business Bluefish and finally to new business Sharks by incorporating simple steps and procedures into their normal business routines. This senior-level program is taught in one day, on-site at the firm and supported with an 80-page SHARKING manual designed to keep the training fresh for years. Anyone in top management who has a stake in the firm’s success including senior account handlers and new business personnel as be trained as a Shark. Call your Sanders Consulting Group representative at 412.897.9329 or email us at info@sandersconsulting.com for details and pricing options.